I find myself saying "almost spring" in my most recent posts, but because it is "almost spring" I'm gravitating towards lighter tones. 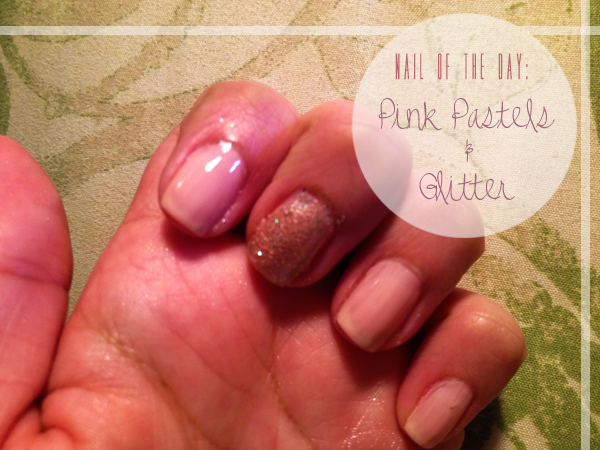 This NOTD is such a classic one I've seen on Instagram, Pinterest, weheartit, and tumblr. 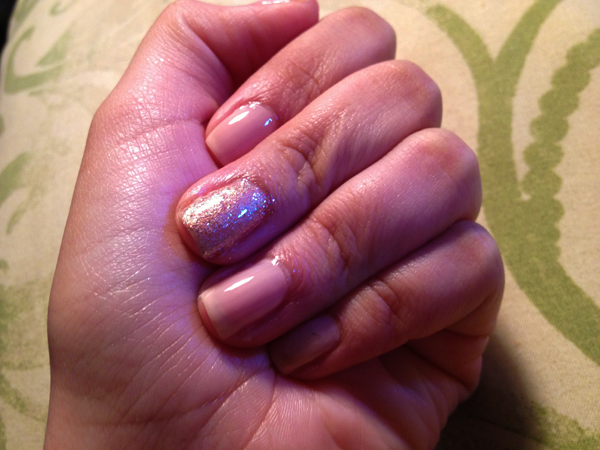 A simple nudie pastel pink with an glitter accent finger. You can never go wrong with that combo! 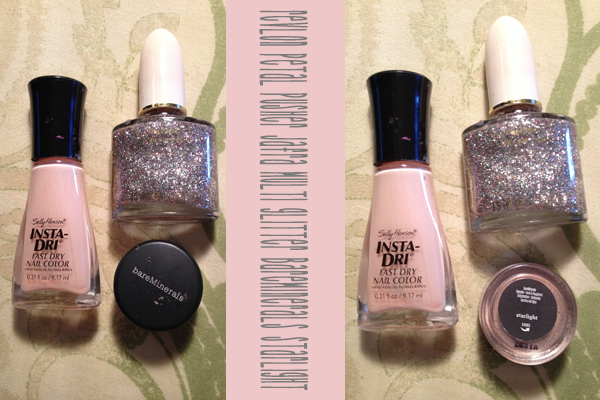 I dusted on the bareMinerals eyecolor in Starlight on my middle finger, just to make the glitter pop, and cast a darker shade of a pale pink. What colors are you ladies enjoy this spring? Have a great weekend! Happy Friday! Pink and glitter... So perfect for Spring. Have a wonderful weekend, Dalia! LOVE seeing other people nail art on their blogs! Oh my gosh I love love love this!! I have some similar colours so will defiantly be recreating it! love love love this combo! GORGEOUS! I love pink pastels for spring :) Defiantly be rockin' some pastels then . You have gorgeous nails and I love the glitter accent nail too! "Almost spring" is the most frustrating season! totally gonna have to do this look on my nails. Looks totally fabulous love!